As I skim through the archives, I realize that I write a lot about personal care products. I suppose that, to some, this could be grounds for taking away my hypothetical man card. But even manly skin needs attention, especially on this frozen tundra that is Northeast Ohio from November until April. And I’m not ashamed that even during the worst of times, my hands are smooth, my teeth are clean, my hair is shiny, my face is smooth, and I don’t stink. All while I split logs and grunt. So there. 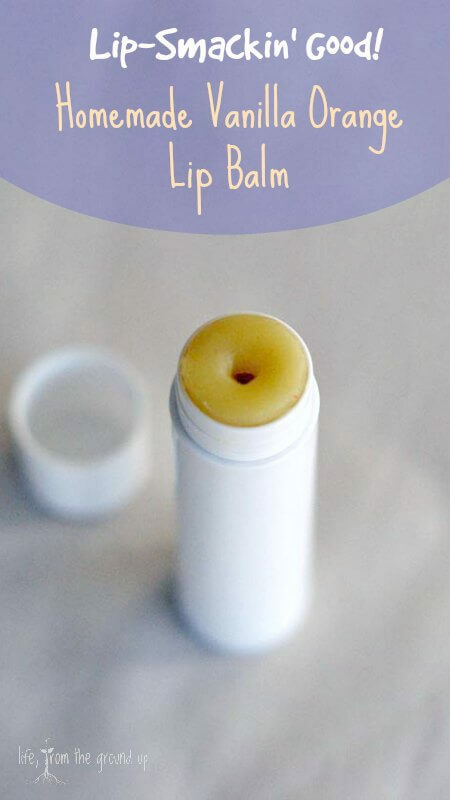 Yes, I’m on a mission to replace everything in the bathroom with my own creations, and next up on the list is this surprisingly easy homemade lip balm. The skin on your lips is extra-sensitive and dries out much quicker and easier than the rest of your body, so lip balm is a good idea for providing extra moisture and protection. But the funny thing is, a lot of lip balms contain ingredients (menthol [or anything ending in “ol”], camphor, salicylic acid) that dry out your lips even faster, requiring you to use more and more. Genius, if a little immoral. I promise this homemade lip balm won’t dry them out. Even better, this recipe is entirely customizable and you can flavor it however you’d like. And even more better, you can make about 10 of these for the cost of one tube of quality stuff. To start, you’ll need some solid “butter” (shea, cocoa, mango), liquid oil (olive, almond, coconut counts as liquid even when it’s not), and beeswax (if you don’t have your own bees, you can buy little pellets). For my first batch, I used two tablespoons of herb-infused oil, then two teaspoons each of beeswax and shea butter (still 3:1:1 – yes, this may require you to brush up on some basic math and measurement skills). The next time around, I may go up to 1.5 parts beeswax, but all in all, the consistency is pretty nice. And for planning purposes, this should fill up 6-7 standard lip balm tubes. Unless you’re making huge batches, one of the easiest ways of doing this is to put everything into a regular glass measuring cup (1-2 cup is fine). This lets you melt and mix easily, and also gives you a little spout to pour from – if you mix in a bowl and try to pour into those tiny tubes, you’ll probably end up with a mess. Just a hunch. So I put a little fry pan on the stove, added about an inch of water and a small dish rag, and turned it to medium heat. 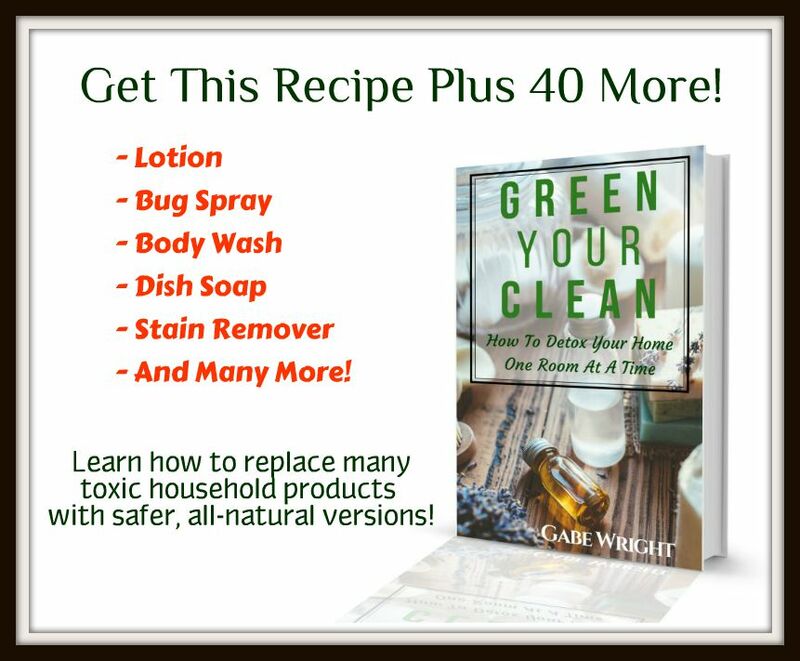 Put the glass measuring cup in that, adding everything except the essential oils. Let it all melt, stirring to combine well. 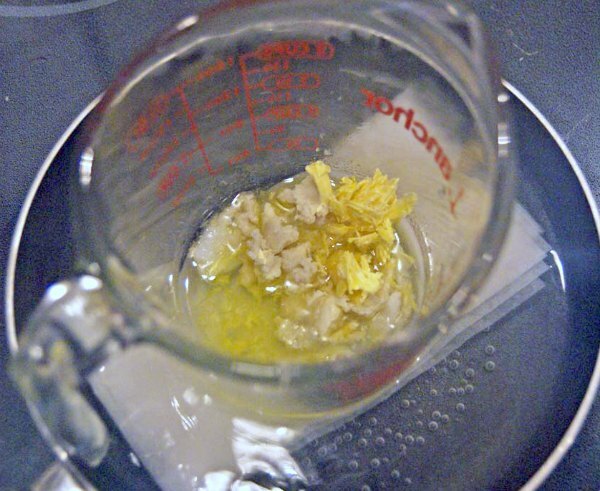 After it’s melted, take the measuring cup off the heat, then add the essential oils and mix again. 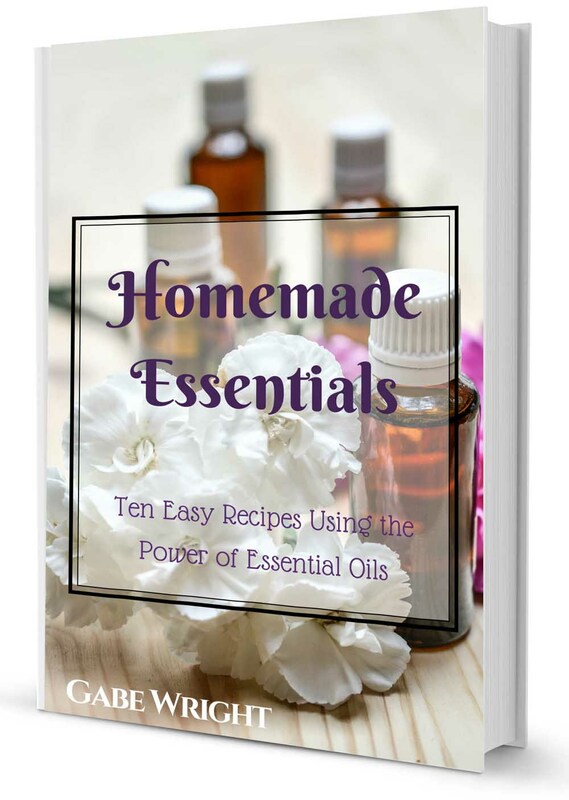 Note: I made a sweet orange/vanilla combo – the orange oil is easy to come by, and after doing some research, I discovered that vanilla essential oil is basically the same thing (just more concentrated) as the vanilla extract you have in your cupboard. So to get that vanilla flavor, I just added about 1/8 teaspoon of extract (just make sure you use a high-quality vanilla, none of that imitation junk!). Pour into the tubes carefully. I was a little worried that it would be messy, but I had no problems at all – just keep a steady hand and go slowly. They do sell trays to help out, but I think it’s totally unnecessary. You may need to remelt at some point as it does start to solidify pretty quickly. Once you get the basic process down (and it shouldn’t take you more than once or twice), you can customize your homemade lip balm however you see fit. 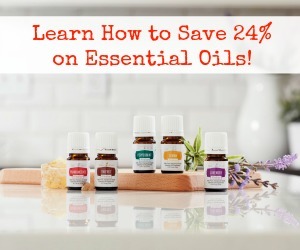 Try different oils, start infusing your own oils, or mix and match butters. You can even add colorants for extra pizzazz (non-toxic things like beet, annatto, or chlorella); look at this tinted lip balm. If you’re into that kind of thing. Add a cup or two of water to a small pan and place over medium heat. In a glass measuring cup, add the oils, beeswax, and shea butter. Put the measuring cup into the pan of water. Heat until melted, stirring to combine. Remove from heat, then add the essential oil and vanilla. Stir again. 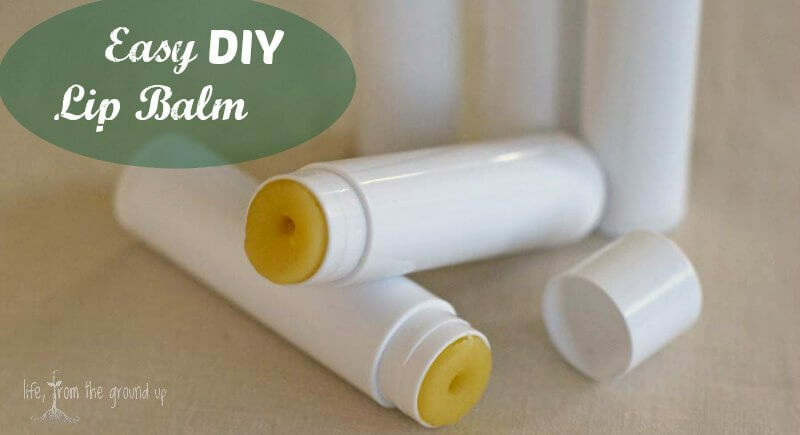 Pour slowly into empty lip balm tubes or tins. Let the tubes cool for 10-20 minutes before using. I usually put it on after a shower (after drying) when my skin has some extra moisture in it, but it can be applied any time. 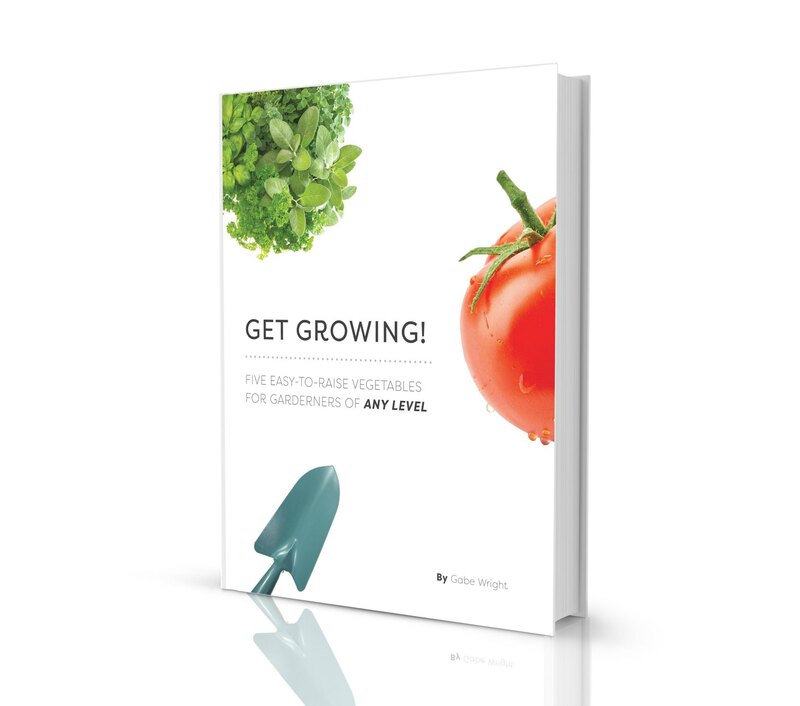 I do infuse a handful of different oils; it’s really quite easy, so there’s no reason to wait! I usually throw some leaves/flowers (make sure they’re not wet) in a small jar, cover them with olive oil, and let it sit on the counter for a solid month (can go longer, depending on when I get to it, but I typically don’t intentionally vary the time for different plants). After that, I strain out the solids and the oil is ready to use. Good luck!